25th January 2019: Steve Hackett's new album At The Edge Of Light is released worldwide. 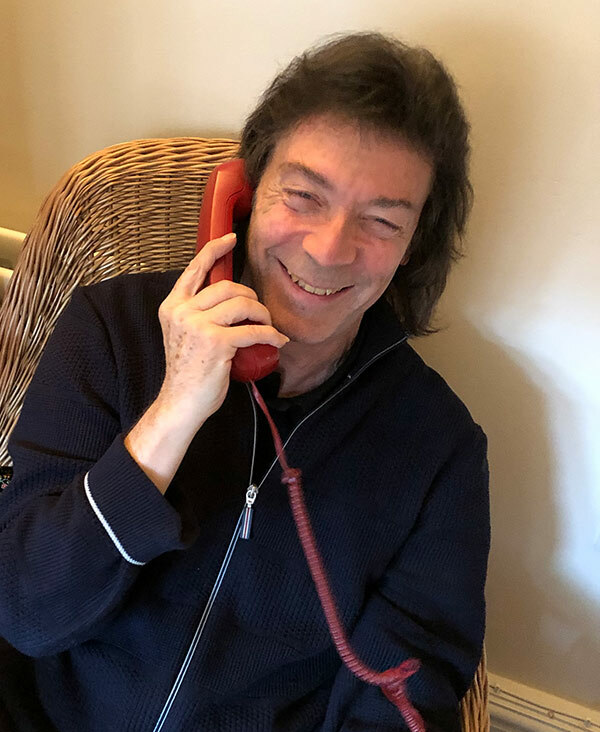 In the evening of the same day, Steve took some time to talk to Christian Gerhardts from genesis-news.com (GNC) in detail about his new album, other projects, his plans for the upcoming tour, his age and the future for Britain at the edge of Brexit. GNC: Hello, Steve - how are you? "I don't think about retirement." GNC: Speaking about the body - how do you feel at the edge of becoming 69? Steve: Ah, the age. Yes, I am old, turning 69. At times one feels of having the mental age of nine. So what about the other 60 years? I try to make little concessions to my age. I had an uncle in Italy who lived until 108, so that means I have enough time to go. GNC: Ok, that means, another 40 years and 20 albums. Steve [laughs]: Yes. I can do a ton more albums, believe me. GNC: Speaking about age. You are also touring a lot. Do you consider retiring? Does that go through your mind? Steve: No I don't think about retirement. I have to show the younger guys how it's done. "In music, I value authenticity over originality"
GNC: Ok, jokes aside: About your solo career: It feels a bit like you have two carreers. One before 1990 and one after 1990, possibly starting with Guitar Noir. So looking back at your rock albums from Guitar Noir until today, in retrospect: how do you think your music has progressed and what do you think is the most valuable thing you have learned in those years? Steve: The most valuable thing is always honesty, also in music. To do the things you feel are most authentic. I value authenticity over originality. Originality is not really available to anybody anymore. It's more a composition of existing ideas and if you can occasionally get an insight into something you think nobody has done before, then that's great. I guess there are a lot of harmonic and rhythmic combinations, so you can say that there is an indefinite number of possibilities - on the other hand if you talk to someone like Steven Wilson, who would tell me it's all been done already. So this is the cynical point of view. On the other hand there's this nine year old just starting out all the time, thinking: I'm about to buy my first record. That's why I referred to being nine years old. I was that age when I bought my first record. It's still this big adventure for me, but I don't buy someone else's records and discovering all that, I try and do that with my own records. You can sometimes surprise yourself. And usually magic is something that someone else does. You know yourself very well and you are obviously an expert on yourself. But to be able to do that archeological dig and dig even a little bit further into your own possibilities that you possess. You have to be very honest with yourself. I'd rather have something very heartfelt than something original, but not necessarily thrilling. I want to be excited by an album, I want to be romanced and I want a sense of mystery about it. And that means subscribing to certain traditions to mix those things. GNC: When you look back at your catalogue - what are the three albums you are most proud of? Steve: With Genesis it is Selling England By The Pound - for all sorts of reasons: One of the reasons is that John Lennon said by that time that we are one of the bands that he was listening to. It was nice to have his sanction at that time. We were all such Beatles fans. In terms of the solo work it's Spectral Mornings from the early work. 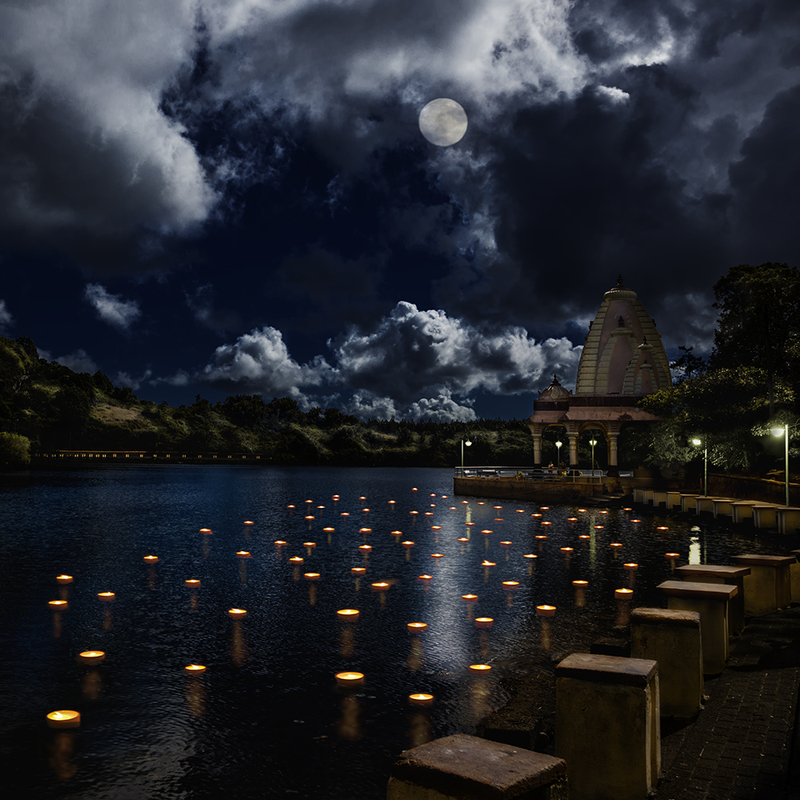 There is something about it, it possesses its own atmosphere. I started to subscribe to world music at that point, doing things that were influenced by Spanish music and trying to tell a story as well. 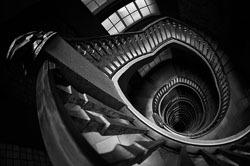 This idea - of continued life - of a spiritual realm running parallel to the physical that we know. And I've touched on that again with this new album. I don't know anyone who writes about that, certainly not in Rock'n'Roll. I'm prepared to address unpopular themes at times. You have to be prepared to be unpopular to be popular. And then perhaps you can address those extremeties at the same time. And the third is - funnily enough - the new one. It's the first fully orchestrated rock album I have ever done. Of course I worked with orchestras before, but this one feels fully orchestrated and it's integrated into it. "Playing The Waiting Room live sounds like a very good idea"
GNC: Going back to the Seventies: With Genesis you did a really unusual piece, maybe the most awkward thing the band has ever done: The Waiting Room. You have never played that in any of your solo shows. Do you plan to do that? Steve: It sounds like a very good idea. For this year, what I am intending to do is to play the three albums that I have just mentioned. The whole of Selling England, as much of Spectral Mornings as I can bring the band to do, and a lot from At The Edge Of Light, to introduce that. Yes and speaking of The Waiting Room, that was the most radical piece although the version on The Lamb Lies Down On Broadway was a little bit restrained compared with the way it was in rehearsal. When we did it live, it was done with more gusto. There, everyone let their hair down. I know there are many bootlegs proving the band is allowing itself to be surprisingly eternal. It's the last thing Genesis wanted to do in previous years. It wasn't on the agenda initially. It had its basis in free jazz. And it was good to have such a surprise on a double album. Yeah, it's interesting you mention that one. I probably will do that in the future, it's a very good idea. Steve: Yes, but we also had that - the end of Dancing With The Moonlit Knight, Fly On A Windshield - those were jams. GNC: When did you start to write the new album? The last album, The Night Siren, is not even two years old. Steve: Can't remember the exact date and I am not sure which track we kicked off with, but it all happened in the last 18 months. I didn't have any songs left over from The Night Siren. I was writing from scratch. GNC: How do these guest appearances happen? Do you have a specific idea in your mind when writing? Steve: Well, I have a core band I work with - the English band and all of my English cohort. And then you make friends all over the world. You discover that many of them are great players. I wanted to invite them to be part of it. The personnel on the last album and on At The Edge Of Light is quite similar - with a couple of variations. We have some more drummers on this one. I am also using real zitar, no samples. We have Sheema from India. I wanted to do an Indian track. I tried to do that in the past but this one, Shadow And Flame, feels like the most successful attempt in terms of Indian music meets rock music. Sheema wanted to hear it when it was all done and I thought she was going to say "I don't like it". But actually she said she liked it very much and that it followed the raga form and if that's the case, then this is purely intuitive because I don't really know what the raga form is. I was trying to mix rock and raga. I don't know the rules, but maybe that's a good thing. It's based on an experience we had when Jo visited a place in India and seeing the sun coming up the Ganges. And in the end it reflects the hassle in the streets of places like Mumbai or Bombay. 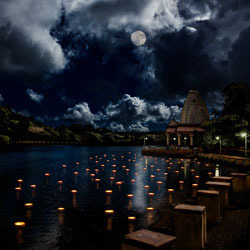 I wanted those twin aspects of India to be reflected in it. The lyrics are mainly Jo's, we wrote the song together and many of the songs are written together with her. Once we have a chorus or an idea of something, then we take it to Roger [King], and he adds his stuff and everyone else adds ideas to. GNC: Shadow And Flame sounds a bit like a perfect version of stuff you did in the past, like Martian Sea? Steve: Yes, and Gulli Briem, Gary O'Toole ... I am making friends with new drummers all the time. I have just started working with Marco Minnemann for the Cruise shows. And then Craig Blundell for the rest of the year. GNC: How did you work with these drummers? Steve: I have sent the stuff to them and they sent it back to us. Most people on the album I did face to face. But the drums, apart from the programmed drums - well, all drummers pefer to work in their own places. "With Roger King, we do something like drum choreography - you want to see the steps." GNC: Is that also the reason why you didn't use real drums on all of the tracks? Steve: I didn't use real drums on all of the tracks because I like to work with Roger. Something I prefer to call drum choreography. It's almost like a dancer - you want to be able to see the steps. I like to be able to say to him 'I think we need a drum break here, something else there' etc. It's really both of us. And although neither of us play drums, I think the two of us we make a good virtual drummer but sometimes you do some thing and you start with a programmed thing as a sketch and you think it would be nice to have something real here. Other times, the programmed stuff can be very powerful. If it's doing the right thing, it seems pointless to get someboy in. But sometimes we also mix these things. We are pretty free with editing. It's a bit like shooting films. You probably won't get the complete chronology the way it's heard - for the listener. We work on scenes. They sometimes stay - or get deleted. Steve: I was trying to do something that was a bit like 60ies folk rock, rather than pop. Tony did of course pop music, but he also liked classical music and does more of that these days. But he also was a big Beatles fan. GNC: My highlight is Those Golden Wings. It reminded me of the great long-songs Genesis did. It has a great melody and has two parts. When did you decide to have a longer song rather than two separate songs? Steve: There were a lot of ideas. First of all I wanted to write a love song and sing it in mainly solo voice for Jo to make it personal. But because I think she is a complex character full of surprises, I thought I couldn't write a lyric that was obvious. I wanted to allow the song to build. I didn't want to rush it. And it wasn't meant to sound like a single. I could have done that. The verse came first and then the chorus and then after that I came up with an orchestra introduction. Once I had that, I thought perhaps I could develop this and bring it back as a theme and do it in some kind of choral style with a choir. There is not just one type of choir. Some parts sound like a Hollywood choir, some like a childrens' choir then sections with male and female voices and then the stuff sung in Latin - I thought of something really dramatic. And by the time we developed that into the rock section we had a song that was 11 minutes long. It has some influence by Eric Clapton - I listened to one of his tracks these days and also a bit of Led Zeppelin - in their melodic style. I thought if I do this sequence at the end and I solo over it it'll be a little bit progressive but also jazzy. Maybe even heavy metal jazz. I was looking for a hybrid thing. So there are many influences. And yes, it's a typical Genesis length tune. 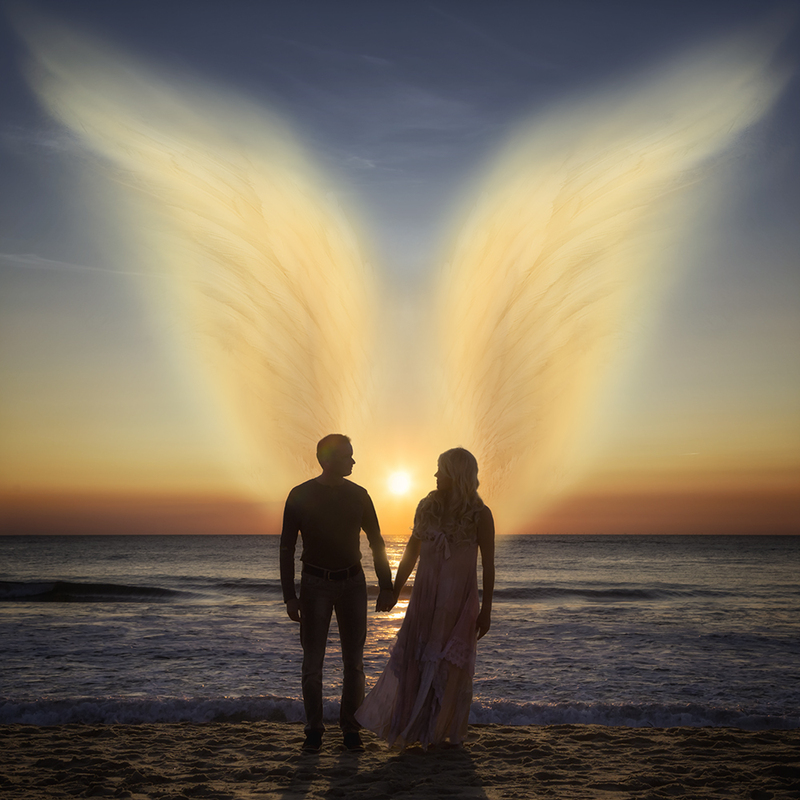 "Those Golden Wings would require at least two keyboard players to do that live." GNC: Will you do that live? Steve: I haven't even remotely thought about it. It would certainly require two keyboard players, if not more. The orchestral part is also very challenging. We don't have orchestra on that one but people who sound like orchestra. The introduction is one of my favorite bits on the albums There are also classical influences, maybe even Russian. Stuff like that can give the music wings. With all these Tchaikowski pieces you get this feeling of a story being told. He really knows how to get inside the soul. He combines male and female stuff all of the time. GNC: One of the tracks, Descent, doesn't feature Roger King. How did that happen? Steve: Yes, Ben Fenner and I did that. I had an idea that I was going to use for a bonus track but it felt very strong. It was done very quickly. It had a kind of spooky or malevolent, brooding quality to it. We were thinking of Ravel .... eventually it's orchestra-inspired. It's this hybrid between rock and classical and film stuff. I do actually like a lot of film music. Quite a lot film music features orchestra. Big budgets often feature big orchestras. Sometime we have to do it with very small forces, but as I said, it came together very quickly, but when I played it to people they said 'oh you have to use that'. And it was literally the mix on the day and something spontanous happened and I didn't want to refine it too much. People's response like close friends and family was really good and I thought I could only mess this up trying to refine it. We could take all sorts of people to work on it and it would take much longer but perhaps we didn't need to do that. So it was probably the quickest track on the album. I am pleased I kept it in reserve for the album, rather than giving it away as a bonus. GNC: About these bonus tracks. Are you a Star Trek fan? Steve: Oh, am I a Star Trek fan ... I do like the original series. I think they were really well written. Obviously the later films and later Star Trek in general were full of effects and far more professional but I think the early series was challenging. So there must be something you heared that sounded like something from Star Trek? Steve [laughs out loud]: oh okay. Right! Well. It's an instrumental piece. It's a bonus track and done very quickly. It took me a day to do it. I had the idea of calling an instrumental Teach Yourself Vulcan - but it's only some kind of nonsense. It's for those who appreciate Star Trek jokes. "I make no bones about the fact that bonus tracks are what they are: a bonus." GNC: The other bonus track is called Roulette and you have produced them for the Japanese release. Is that a business demand that all Japanese releases feature bonus tracks? Steve: The Japanese normally ask for these bonus tracks, yes. And as I said, I did them very quickly. And I make no bones about the fact that that's what they are. So if anyone says this isn't very developed or isn't very good - so yes: it's a bonus track. My wife said that some people just use different mixes as bonus tracks and then even leave off half the instrumentation - and that's a bogus track. But mine are genuine bonus tracks. Some people are interested in them. And it's an example of what I can do in one day. I tend not to spend any longer on it than that. I don't claim it to be a magnum opus. GNC: I quite like Teach Yourself Vulcan, it works with the other tracks. Steve: I write them on the spot and thats what happens. GNC: So the bonus tracks are new as well, no left-overs? Steve: No, they are new. Written and recorded on the day. Try and combine what two people could do together. I did that with Ben Fenner also, not with Roger. It gives a different feel. I find Ben is very good when he's under that kind of pressure. So these happened quickly. But sometimes I can also get stuck in something for months. Back in the days when we were doing Defector, I was on tour a lot and I said to the guys during rehearsals: We could write three new tracks a day. We didn't quite manage to do that, but after the second day we had three new tracks done and one of then even had finished lyrics and vocals. So you can work quickly, if you want and also without losing quality, but that's with the listener. GNC: You should tell that Peter Gabriel, but that's another story. Steve: Yes, that the opposite to the way Peter Gabriel works. GNC: You use the words 'train' or 'rail' a lot in your lyrics. Do you have some kind of special relation to trains and everything attached to that? Steve: Yes. From my teenage years and into my twenties the family had a flat which was near Victoria Station and the flat overlooked the trains. So I had trains going through my young life. And I used to find it very easy to sleep. But whenever someone came to stay at the family apartment they would say "how the hell do you sleep here with that racket going on all night?". GNC: About the tour: You already said that Marco Minnemann will do the first shows and then you have Craig Blundell on drums for the rest of the year. Tell us something about why Gary is no longer in the band. Steve: Basically Gary said that he wanted to spend more time at home with his family. He also wanted more time doing his drum school. For that reason he was a bit unhappy on the road. Probably it was best in everybody's interest that he was able to do what he needed to do, but I will miss him in so many ways. He's not only a great drummer, but also a great singer and a great personality. We worked together for a long time, but there's a natural end to these things. And now I had the chance to work together with Marco in rehearsal and he is just fabulous when he is attacking the kit. GNC: How did you find Craig? Was he suggested by someone? Steve: It was a suggestion and I heard a couple of things and thought this was really good, so I met up with him. I know that he will be very good. These days it's different. Back in the day we got the guys in to do auditions and everyone sweated blood. But today, I can listen to tapes or videos or both and have a good idea how good they are. And then there are recommendations. I haven't seen Craig live myself but everyone says how marvellous he is - people whose opinions I respect. I am doing something now which I think is a calculated risk by going with him. And I am proud to work with him. We have commitment and I am looking forward to hearing him play, not only my stuff, but also some of the Genesis stuff. "I am thinking about playing Déja Vu on the tour." GNC: You will play Selling England in its entirety. Do you consider any surprises, like different versions of the tracks or something else? Steve: I am thinking about to include the track that Peter Gabriel originally brought to the sessions, which was Deja Vu. I ended up doing that on Genesis Revisted number one. It's a little bit like a deleted scene. If I have time, I will restore that. So you will get anything that was intended for Selling England. GNC: Anything else you want to reveal about the setlist? Steve: Well, I want to do the whole of Selling England, I also want to do most of Spectral Mornings and I want to introduce At The Edge Of Light. 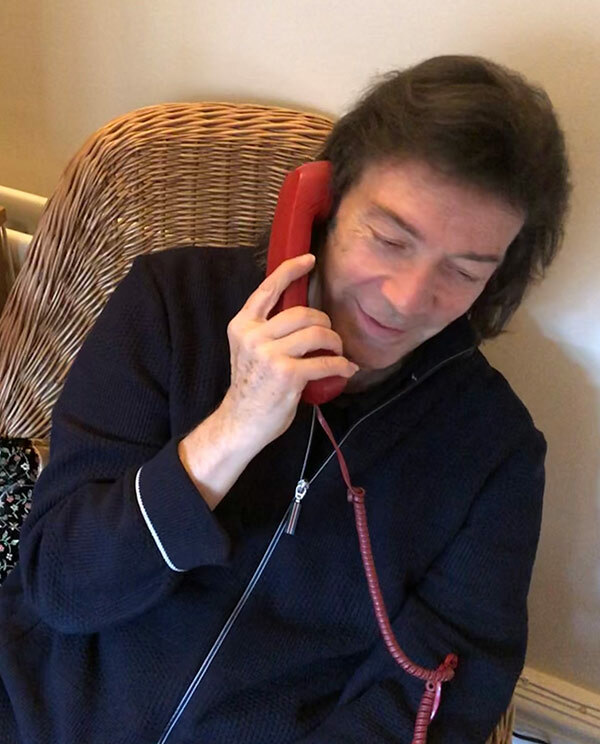 Having said that and after the response to the new album, which is the best response I had to anything so far, it would be foolish not to play a lot of that too. Perhaps I need two bands and three hours for the setlist. But that's a nice problem to have. It will require a lot of rehearsals to do the stuff. GNC: Any plans for special guests for the live shows, as you did in the past? Steve: I haven't even thought about that yet but it's nice thought and is always possible. Some of the material is very well known, so it might be possible to have them do that. You have to remind me when it's closer to touring time. There are some great people out there and obviously Ray Wilson is a great singer. That would be interesting, yes. "New stuff for the Live Archive series, the Jim Diamond album or a rarities album may happen, but these ideas are not a priority right now." GNC: You had this Live Archive series quite a few years ago. Do you have any plans to revive that? Steve: I think I need additional personnel to mix that. The team that I got has a lot work with everything that's going on right now. For instance, we will release a concert film of the tour we did with Orchestra in the UK last year. That will have priority. And there are all sorts of things. I will get round to it one of those days. But I only got one pair of ears. And my output has been increased in recent times. I know certain people release every show, like Peter Gabriel has done, but I also want some kind of quality control. So these things need some time. GNC: For the first boxset Premonitions you had 5.1 mixes made by Steven Wilson, but for Broken Skies, Outspread Wings you have not remixed a complete album like Guitar Noir or another one in 5.1. What was the reason for not doing that? Steve: Well, for the Preminitions set we already had the problem that some tapes were lost. I was able to do two albums, Please Don't Touch and Spectral Mornings, and I was very pleased with the result. The stuff I was doing in later years was recorded digitally, but it was ADAT. And that was a system that always had breakdowns and we always had to do backups etc. We had boxes and boxes of this stuff. I was finding it a very fragile and unreliable medium. We got good mixes at the time but I didn't want to subject any of my team to working with the stuff and this unreliable system. These albums were done during my most challenging period - economically. Now ever since the album Wild Orchids we were working on a more robust system. We decided to do a selection of tracks from that album in 5.1. Since then, InsideOut said to me, if you want to do 5.1, you can. So we have that since Wolflight and I am very pleased with it. So, 5.1 mixes of Guitar Noir or other albums from that time could be done technically, but it would take a lot of time to do that. It's like restoring archive footage. That's why we didn't do that. GNC: Will you continue with another boxset, that will contain material from the time after 2007 until today? Steve: InsideOut has asked me to do it, it's just a case of when we do it. There also might be vinyls of live stuff - so we are considering many options. But nothing is official or certain yet. It can happen in 5 years time or whenever. Don't hold your breath. It's not a priority right now. GNC: A few years ago we talked backstage in Berlin about the album you did with Jim Diamond after Darktown. Is there a chance this will get released? Steve: It's also possible, but like the other projects we discussed, it's not a priority right now. GNC: Would a boxset with rarities, like B-sides, session stuff, alternate versions etc. be interesting for you to make? Steve: Yes, I could imagine to do that. And I know that fans ask for that. I have been thinking about that as some kind of limited release for fans. It's also a matter of time and priorities. GNC: The Genesis Revisited Orchestra show - will that also be performed outside the UK? Steve: Well, we are working on a DVD of that and the DVD will come out at the end of this year I think. The team is of course busy with many things like the tour and stuff at the moment. About playing, I believe I will be doing something with an Orchestra in Germany. That's in Wuppertal and I have been asked by an Orchestra there to do the kind of show we were doing with the Orchestra in England. I'm looking forward to doing that - but that's not before 2020. "For economic reasons, I won't tour with the Orchestra show. Special shows may happen, but not before 2020." GNC: ... so you do not have plans for a complete tour with an orchestra? Steve: No, no plans. The economics dictate that realistically you have to work with local orchestras. And then you have the issue of rehearsals and still economic risk and all that. I have put aside the idea of working with an orchestra this year. But as you know I like to work with Orchestras so when there's a chance, we'll go for it. GNC: Do you have any desire to play pure Hackett shows, so no Genesis, just your own stuff? Steve: I think that will probably follow. At one point I will do that. Again I can't tell you exactly when but I think that's coming. GNC: What about a new Acoustic album and tour? Steve: My wife and I have talked about that. Doing an acoustic album can be really beautiful. That can also contain orchestral work as well. But would I want to tour with it? No, I am quite happy to make some sort of audio monument in terms of getting it right with all these different techniques on record. I also think it's far more exciting to have a rock show with acoustic sections. I also have a growing audience for all the rock stuff and I am very happy with that. GNC: Any plans to work with Djabe again? Steve: I think we are doing some shows in the summer period. Maybe about a week with them. It's about being free, very spontaneous. "For me, success is trying to do a good album, beyond the charts." GNC. What do you think about the music business these days? Steve: Funnily enough I talked to a young radio presenter about this recently. It was her mission to promote female classical composers. In general, the business has produced a great variety of stuff, but you have to seek it out. I have heard some good stuff recently. But whether these guys will have success and sell many albums, I don't know. The music business is one thing, and music is something else. As we know the greatest thing to be is a 19 years old dancer with a fabulous voice. But even that might not be everything. But people of my age, what we bring to it, is experience and honesty. And we might know better the difference between having a hit and having something that might go a little deeper than that. There was a time when some people said "if you ever go to Top Of The Tops, we'll never speak to you again". Success is not everything. For me, success is trying to do a good album, beyond the charts. Or coming up with something like tapping. That's gonna last much longer than a hit or a hit album. GNC: Did you see Phil Collins on tour? Steve: No. I tried to contact him when we were in the same town, somewhere in South America. We were at the same airport. I was going to a gig, so was he. I left a message for him, but whether that message has gone through, I don't know. I am still waiting to hear back. "I think the Brexit is a terrible idea. We should stay in the EU." GNC: We are facing an enormous change in Europe: The Brexit is coming ... maybe. Any thoughts? Steve: I think the Brexit is a terrible idea. International musicians were among the first people to realize we have the right to live and work in 27 or 28 different countries. But that's only for a few more days. But politics in this country is absolutely infernal. You know we had this death of politician Jo Cox, who was shot just because she was in favour of remain. I am afraid she might not be the last one. I believe we should stay in the EU, it needs to stay strong. And obviously anyone in business says it will be a complete economic desaster for Britain - companies are moving out already. And I am doing a tour in Europe a month after Brexit happens. Nobody can tell me if I need a visa or a new passport. Do we need to pay tax, how should we plan stuff etc. I don't understand that. Britain also needs the supply chains. We are no longer a manufacturing industry. We are fully cosmopolitan these days. Maybe there's a chance for another referendum and we can ask the EU to stay in - but then again, we might end up with a much worse deal. It feels there are dark times ahead. And I think politicians really behave badly these days, not just in Britain. On the positive side we have the technology to work with anyone in the world - like I just did on my new album. Also apart from the music, we need everyone's brains on stuff like health, fight against cancer, Alzheimer, Parkinson etc. We have the means to do that. We just have to get over the idea that nationalism is the way forward for anything. It isn't. Freedom is a very precious thing and we somehow say goodbye to that. But anyway, enough about that subject. GNC: You basically share the same opinion with Mike and Ray - I asked them the same questions. In any case, that was a nice one - thank you for taking a lot of time and good luck with the new album and the tour. 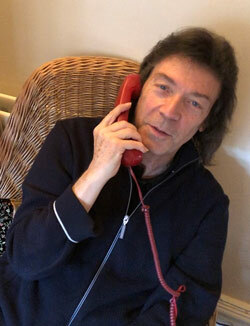 Steve: Yes, nice to talk to you again and thanks for all those intelligent questions and see you on tour! 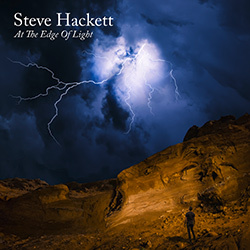 Steve Hackett's new album At The Edge Of Light has been released by InsideOut records on 25th January and is available everywhere. It can be ordered in various formats online at amazonDE, amazonUK, amazonIT and elsewhere. Steve also sells it in his own webstore. Discuss our interview with Steve in our online forum in this thread.